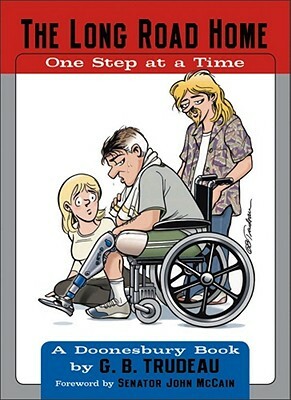 Andrews McMeel Publishing, 9780740753855, 96pp. As their journey continues, B.D. and Boopsie are cared for by Fisher House, a home-next-door-to-the-hospital for families whose lives revolve around therapy. B.D. finds himself painfully engaged in building his future, one sadistically difficult physical therapy session at a time. "To Lash, Helga, and the Marquis " toast the band of differently limbed brethren, raising their glasses to their PT masters as they prepare for reentry into the ambulatory world. From rebuilding tissue to rebuilding social skills to rebuilding lives, B.D's inspiring, insightful, and darkly humorous story confirms that it can take a village, or at least a ward, to raise a soldier when he's gone down. "Thank you for getting blown up," offers one of B.D. 's visiting players. Replies the coach, "Just doing my job.